I grew with a variety of music around me – classical, opera, rock, broadway musicals – and today I still love all kinds. When I’m writing music one of the things that helps me to get into my own little world. Since I cannot write to music with words (distracts me from my own) I am a huge fan of movie soundtracks because just as they set the mood for a movie, they do the same for me. The music from Grindhouse/Planet Terror is great for writing love scenes. Rachel Portman’s work (Emma, The Cider House Rules, Chocolat) has a lightness and joy which carries me along from scene to scene. 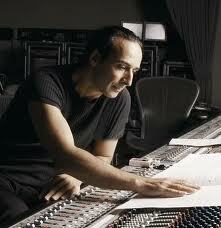 I have an outrageous amount by Alexandre Desplat (including his newest, The King’s Speech). I love the emotion he puts into his music and hope each time I listen to it, that I can put the same into my words. I have a few favorite New Age playlists that are also wonderful – especially for paranormal and fantasy works. My newest focus is an old favorite, R Carlos Nakai. I discovered his music nearly 20 years ago on a trip to Arizona. Finding him again has been a thrill. 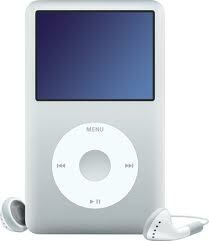 My ipod classic. Love it! Thank goodness making new playlists and shuffling old ones is easy on my iPod – even my classic one, now over four years old. I love that I can change my mind, my music and my mood with only a few clicks.